Connected devices give us access to an unlimited source of information — the Internet. They also serve as a reserve data storage for unmindful owners. Basically, the majority of smartphone users can be called “unmindful” — at least, as compared to their ancestors, who had no mobile phones at all. With information easily accessible by the swipe of a finger, reliance on digital devices becomes quite natural. In our increasingly hyper-connected world, people simply have too many phone numbers, addresses, tasks and events in their calendar, account names, passwords, PIN codes and so on. We couldn’t remember everything even if we wanted to, but can access the information on demand when we need it via a connected device. Kaspersky Lab has conducted global research to analyze how digital devices and the Internet affect the way people recall and use information today – and what, if anything, they are doing to protect it. As many researchers say, when we store information externally (e.g. in a phone), we thereby encourage our mind to erase it. 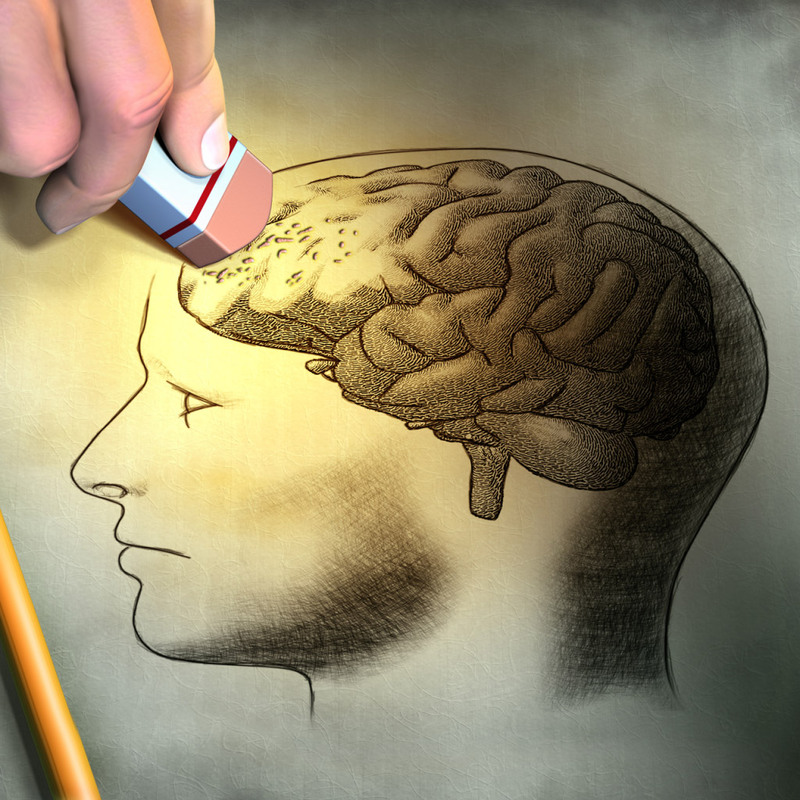 Scientists say that forgetting is not a bad thing at all: our brains have a capacity limit in terms of how much information is accessible. If we do not recall old memories, information gradually fades until we forget it. A brain can also overwrite irrelevant data with more topical facts and memories. That’s why during the study more than half of the surveyed adult Europeans could not recall their children’s or their office phone numbers without looking into their mobile phones. Around a third were not able to remember their partner’s number. The results showed that 91% of Americans surveyed admitted their dependency on the Internet and devices as a tool for remembering and as an extension of their brain. Similarly, 79.5% of the Europeans surveyed, admit using the Internet as a universal reference book. All the information that we previously had to memorize or look for elsewhere is now stored just a few clicks away. At the same time it’s not the question of convenience only, but of necessity as well: 61% of European respondents say they need answers quickly and simply don’t have enough time for libraries or books. Smartphones are the ubiquitous companions for many of us. They have become an extension for the human brain; and just like the brain, they need protection. The majority of motorcyclists put on helmets, but only a few manage to adequately protect their phones with IT security. The research from Kaspersky Lab found that Americans are failing to protect these vital devices despite having readily available solutions. In fact 28% of surveyed in America noted that they do not protect ANY of their devices while just one in three installs extra security on their smartphone (30.5%) and just one in five does so on their tablet (20.5%). 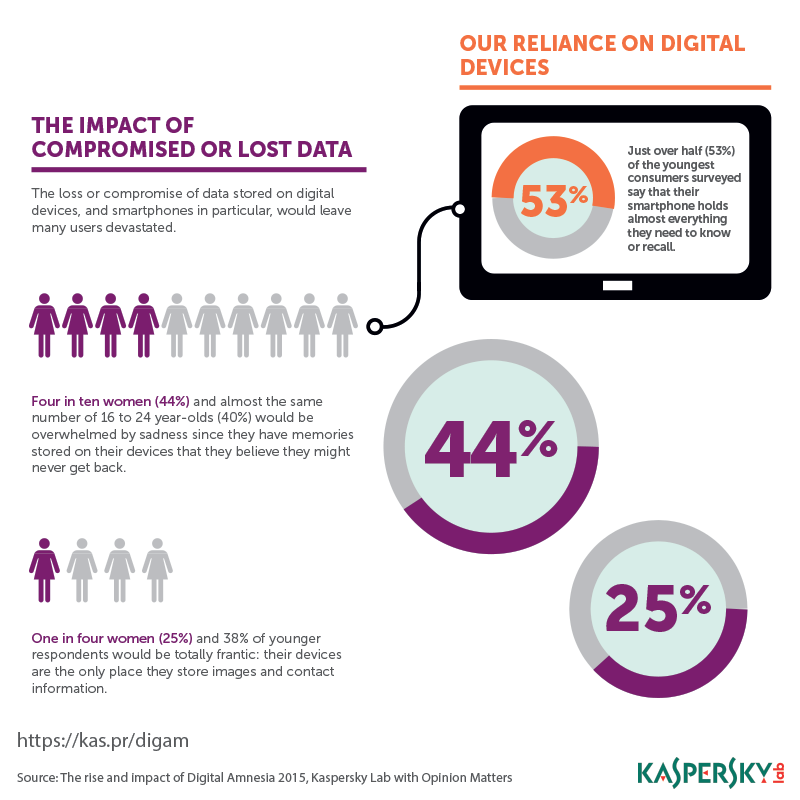 A previous Kaspersky Lab study also shows that women often secure everything less than men. Still not a big problem? Of those surveyed globally, more than 51% of American and 40% of European respondents (especially women and younger people) claim that for them the loss or compromise of data stored on digital devices, and smartphones in particular, would cause immense distress. Similarly over 25% of women surveyed in both regions as well as over 34% of younger respondents globally say they would panic if they lost their devices. As these devices are the only place they store photos, messages and contact information. Modern security solutions are vital to protect your devices from malware, viruses and real-time Internet threats. You can use them even in case of phone theft or loss, to block the device remotely and secure your personal data. It’s unpleasant to lose a valuable device; even worse is to know that your data is in the wrong hands. Check up on yourself in our quiz. Do you still remember things or has your smartphone already become the one and the only storage for all of your sensitive information?